When it comes right down to it, we’re really just big kids here at PLuGHiTz Live. Some of the products that we encounter are so much fun. So of course we had a blast at the Polaroid booth this year at CES. Some of the fun that is being unveiled this year are the 3D Pens and Printers. 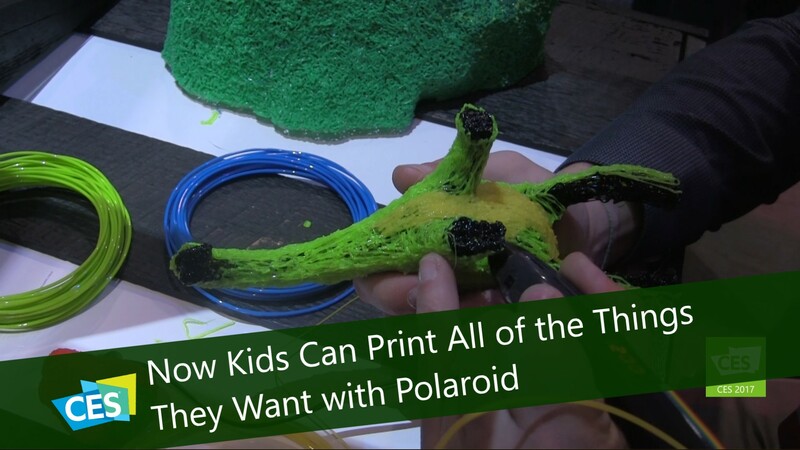 The 3D Printers are perfect for kids who are creative and industrious. They are all-in-one home printers with simple LCD controls and work with a mobile app. Kids can search for designs on from their phones and tablets and have them automatically sent to the printers to print out. Parents don’t have to worry about any little ones getting into the printers and getting hurt as they have a safety lock that requires a code to open the unit, also the printed items cool down right away so they can be used or played with as soon as printing has finished. Printing times vary depending upon the size of the project, and the possibilities are endless. From school and art projects to the fun of designing your own figurines, kids will have hours of fun creating on their own 3D printer.